Recently, a State Public Health Agency began a multi-year project to reintroduce the topic of ethics in disasters. The workshop was designed to inform disaster preparedness stakeholders on the role ethics plays in their facilities during times of limited resources. The workshop was intended to heighten awareness for ethical considerations regarding emerging infectious disease outbreaks or other similar incidents. There were subject matter experts invited to speak at the workshop on a variety ethics related topics. The presentations included Crisis Standards of Care, Ethical and Sociological Issues Surrounding a High Consequence Emerging Infectious Disease Scenario, and the Theory and Practice of Bioethics. The DPS team developed and evaluated a No-Notice Ebola Virus Disease (EVD) Exercise at a frontline healthcare facility as part of our continuing project work with a state Public Health Agency. The exercise was unique in that only the hospital’s emergency preparedness coordinator and top leadership were aware of when the exercise was occurring. The idea of No-Notice exercises is that this type of exercise allows for a truer sense of response activities. This exercise evaluated the triage, notification, and transport processes as they would occur normally without added artificialities. A patient-actor presented to the emergency department of an acute care hospital with symptoms and travel history consistent with EVD, with all internal and external notifications to response partners happening in real time. The patient was isolated, stabilized, and transported by a designated EVD Transport Unit via Isopod to an Ebola Treatment Facility. Over the past year, the Zika Virus has become a worldwide concern. Because of the nature of the disease, it can be difficult to assess response and recovery actions related to the Zika Virus. The DPS team was responsible for the development and implementation of a four-hour Zika Tabletop Exercise. The tabletop was an opportunity for a variety of response partners to engage in a simulated Zika outbreak response. The exercise was designed to test a state’s Zika Action Plan and the interoperability of the planning efforts by all partner organizations. The discussion-based exercise incorporated the identification of an outbreak, vector control measures, public health and epidemiological actions, and emergency services response. Since April 2011, Delta has been retained by the Delaware Division of Public Health (DPH) to develop a Federal Emergency Management Agency Comprehensive Preparedness Guide 101 (CPG-101)-compliant DPH Emergency Response Plan. Furthermore, Delta was tasked with Homeland Security Exercise and Evaluation Program-compliant exercise support to build on the planning efforts. Delta provided evaluation support to DPH’s response to the aftermath of Hurricane Sandy. A comprehensive and exhaustive After-Action Report was developed to provide insight and detail on how to address planning, training, and equipment issues. Overall, DPH has embraced the approach Delta has utilized and found it to be highly valuable in achieving their long-term goals. 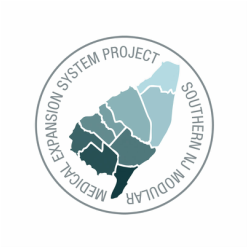 Nine Southern New Jersey counties included in the Southern New Jersey Modular Medical Expansion System (MMES) Project were in need of Standard Operating Procedures (SOPs), training, and drill exercises to establish, operate, and demobilize a Medical Needs Shelter (MNS) during a disaster incident. Although the counties received an MNS trailer cache with the necessary supplies for MNS operations, they did not have SOPs for the use of equipment and were in need of training for the MNS cache. Delta met with all nine counties, conducted a gap analysis of current levels of MNS preparedness in the region, and produced an MNS Standard Operating Guideline (SOG) and supporting appendices, and then conducted planning meetings with all nine counties. Delta also conducted an After-Action Report that assessed MNS operations during Hurricane Sandy in 2012. As a result of the MMES Project, all counties in the region are operating from a standard set of procedures for MNS operations and have the tools needed to operate an MNS. 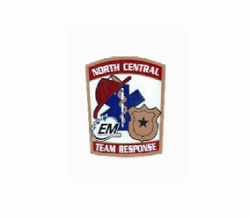 The North Central Task Force (NCTF), composed of seven counties in North Central Pennsylvania, wanted to exercise a newly developed mass casualty plan during a simulated attack on a large number of people. Delta was contracted to develop a Homeland Security Exercise and Evaluation Program (HSEEP)-compliant full-scale exercise. Delta’s staff and a multidisciplinary Exercise Planning Team composed of law enforcement, EMS, healthcare personnel, and emergency management representatives developed an exercise that would overwhelm local and regional EMS capabilities and require implementation of the NCTF Mass Casualty Plan. Using volunteer victims with appropriate moulage, Delta staged the exercise venue and initiated the exercise with a simulated explosion and worked with participants to enhance their skills in managing highly complex incidents. As part of the After-Action Report, Delta provided a thorough gap analysis of the current NCTF Mass Casualty Plan and gave the NCTF EMS Subcommittee detailed recommendations for consideration in revising the plan. In June 2008 and again in February 2009, the Pennsylvania Department of Health (PA DOH) engaged Delta to develop a statewide, jurisdiction-based plan to assist local communities in developing a consistent approach to surge capacity planning and preparedness. First, Delta formed a multidisciplinary planning committee comprising of members from within PA DOH, the PA Emergency Management Agency, and hospital and healthcare representatives. Using a strategic time-phased approach, Delta designed a jurisdiction-based model for addressing surge capacity that provides a layered and multifaceted approach to managing catastrophic health and medical events that require a surge response. The resulting plan is the nine-volume Pennsylvania Modular Emergency Medical System (PA-MEMS), which provides a large audience of stakeholders with a framework through which to begin planning at the local level in a manner consistent with the strategic direction of PA DOH. The Armstrong County Department of Public Safety required assistance in updating the County’s Multi-jurisdictional Hazard Mitigation Plan (HMP) in accordance with the Disaster Mitigation Act of 2000 (DMA 2000). Delta provided technical assistance in completing the hazard mitigation planning process ensuring key federal requirements were met, while also including public and private stakeholders in the process to incorporate their feedback into the final plan. Delta conducted a hazard vulnerability assessment (HVA) of all of the County’s assets to determine how various hazards would affect different municipalities in the County. After conducting the HVA, Delta assisted the County in developing a mitigation strategy composed of goals, objectives, and actions designed to reduce county and municipal vulnerability to identified hazards. As a result of this project, Armstrong County and its municipalities received a FEMA-approved Multi-jurisdictional Hazard Mitigation Plan in 2014, strengthening their comprehensive emergency management programs and making the jurisdictions eligible for pre-disaster mitigation project funding.